A film I scored, Flint Creek, just wrapped up post-production. It was an honor to work with writer/director Chris Hall on this historical drama. 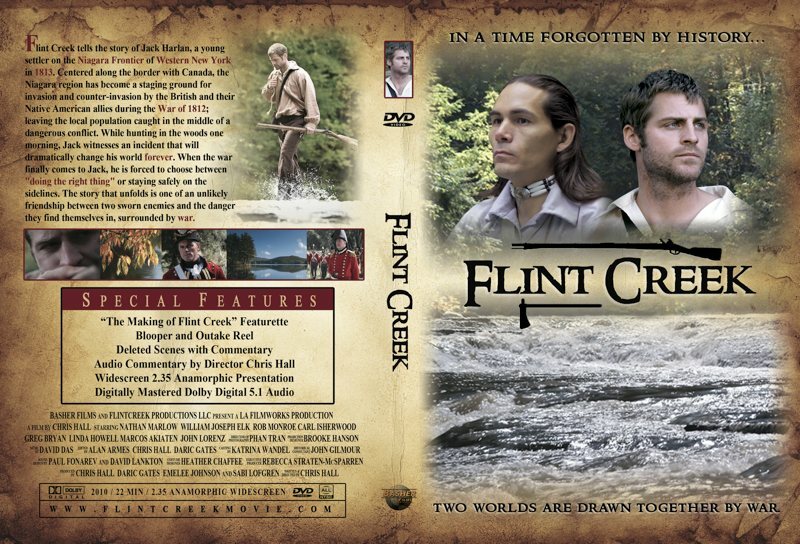 Flint Creek tries to shed light on a period in history that has been all but forgotten today; the War of 1812. It was a period in American history that almost cost the young nation its sovereignty and was crucial to shaping the character of the United States to this very day. The film tells the story of Jack Harlan, a young settler on the Niagara Frontier of Western New York in 1813. Centered along the border with the Canada, the Niagara region has become a staging ground for invasion and counter-invasion by the British and their Native American allies, leaving the local population caught in the middle of a dangerous war. This was a fascinating project to score. Chris preferred not to edit the film to temp tracks, so the first cut I saw was entirely without music. We did, however, discuss and listen to a good amount of Anglo-Celtic music which turned out to be the right flavor for the film. Getting the tone right for a film score is seldom a simple and automatic process. In this case, the first draft cues I wrote for the film missed the mark significantly. They were grander and more epic in scope, and only after a couple of weeks of trying various compositional approaches did we finally figure out what the right flavor for the score would be. In the end, it turned out to be a rather minimal orchestra: lots of low strings often used as drones, a solo violin written with a Celtic flavor, and some additional low synth pads to add some mystique and body. This ended up being the sound palette for the majority of the score. Only in a confrontational military sequence later in the film were some tenor drums added, and only in the end credits did the orchestral writing open up to something slightly more expansive. 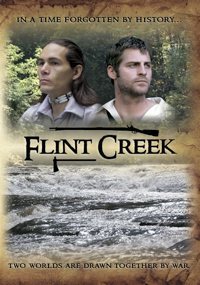 The soundtrack to Flint Creek was recently released for download; click here for more information (available directly, on iTunes, Amazon MP3, and Amazon CD). I’m particularly fond of the closing credits, which take the central violin theme through some exposition that puts an elegant punctuation on the movie.